Samuel was the son of Hannah, who prayed that God would give her a son. Once Samuel was old enough Hannah was faithful in taking Samuel to the temple to be raised there. Though Samuel was young he learned that he must always listen to God as God gave him an important message. Today our preschoolers will learn the importance of listening to God. Learning Aim: Listen to God. Open your Bible to 1 Samuel 3:1-21. Say, Samuel was the son of Hannah. Hannah wanted a baby boy very much and when God gave her Samuel she made sure that he was raised in the church. One day Samuel heard a voice in the temple. At first he thought it was the priest, Eli, but then he found out that it was God speaking to him! One night Samuel was sleeping when he heard someone call his name. He got up and ran to Eli. And Samuel said: “Here I am!” he said to Eli. “I didn’t call you,” Eli answered, “go back to bed.” So Samuel went back to bed. “I didn’t call you, go back to bed,” Eli answered a second time. God spoke to Samuel and told him many things that would happen soon. 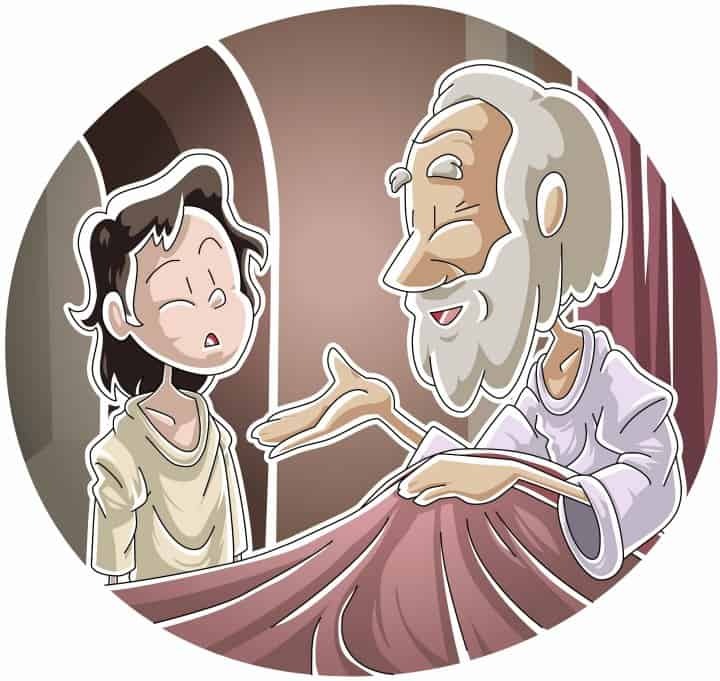 God spoke to Samuel and was able to use him even though he was young. We need to listen for God just like Samuel did. Have the class sit in a circle. One child will lay down in the middle of the circle and pretend to be asleep. Pick a child in the circle to say, ‘Come Here, Samuel.’ Samuel will then wake up and guess correctly then the two children will switch places and the game continues. If the child guesses incorrectly then you will say, ‘Go back to sleep’ and someone else will say ‘Come Here Samuel.’ Continue until they pick the correct child. Say, When the Lord called for Samuel he thought it was Eli at first. Eventually he realized that it was the Lord calling him. The Lord had an important message for Samuel. Give each child two Styrofoam or paper cups. Poke a hole in the bottom of each cup and connect them with a string or ribbon about 3 ft. long. Secure the string inside the cup with tape. Decorate the cups with crayons or stickers. Show the class how to talk through one end to a friend. Say, When God called Samuel He didn’t use a cell phone! He spoke directly to Samuel. We need to always be listening for signs that God is speaking to you. Have the kids sit with their heads down on the table and their eyes closed. Make different sounds and have the kids try to guess what the sound is. You can use a smart phone to do this by looking up sounds on youtube or items in the classroom such as knocking on the door, a timer, or crinkling paper. Say, You did a good job listening today! Remember that you can always listen to God! Say, Samuel learned that it is very important to listen to God. How can we listen for God? Let the kids give their answers. Other possible answers would be that they should read their Bible and listen or God and listen when they come to church. Close the lesson in prayer. play a matching game of items: bell, clock, horn, whistle, musical instruments, etc. There are so many awesome ways to make this fit the deaf world. So many cheat sheets that you can print out in ASL signs. Google deaf world or ASL and describe your need. I have ASL teaching materials from baby to college classes, I do music by signing…teaching children simple songs. Tony Kummer (Editor) reviewed & updated this page on : July 10, 2016 at 10:35 pm. All our content is peer reviewed by our readers, simply leave a comment on any post suggest an update.